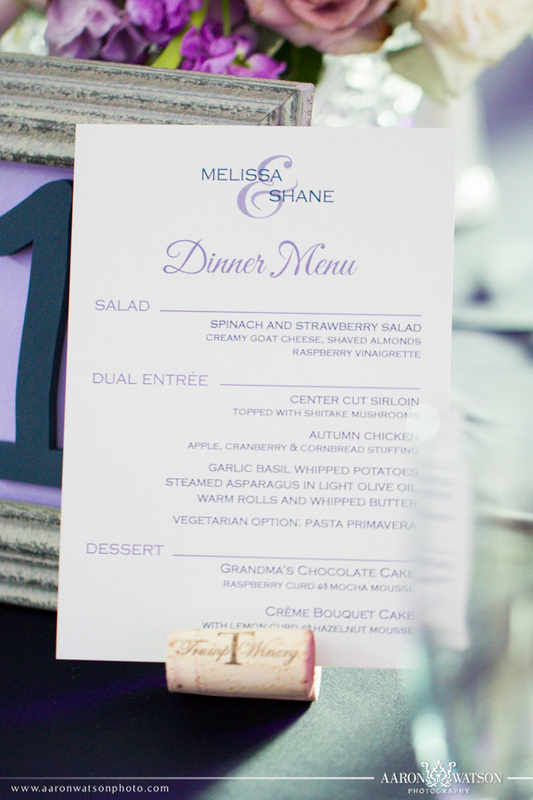 When planning your wedding, it’s easy to see how the little details make the biggest difference. Wedding day stationery is a creative way to add additional decor with real purpose. 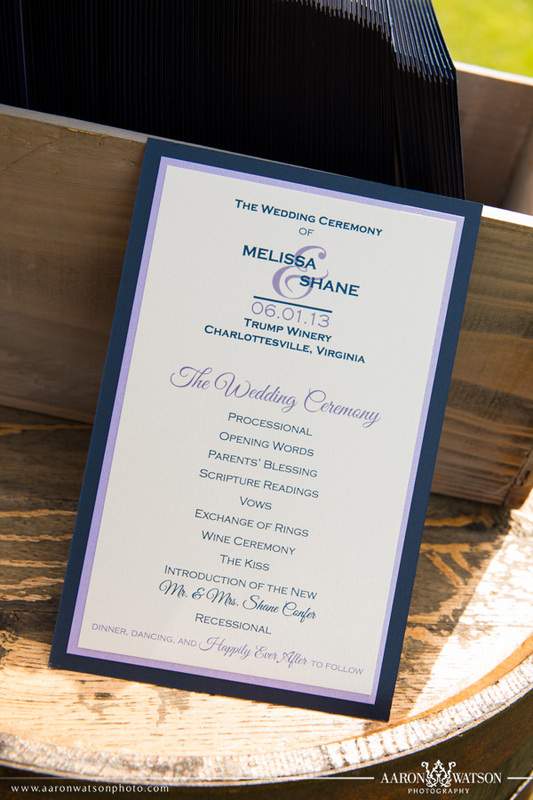 I was thrilled to design this custom stationery suite for Melissa & Shane’s June wedding. 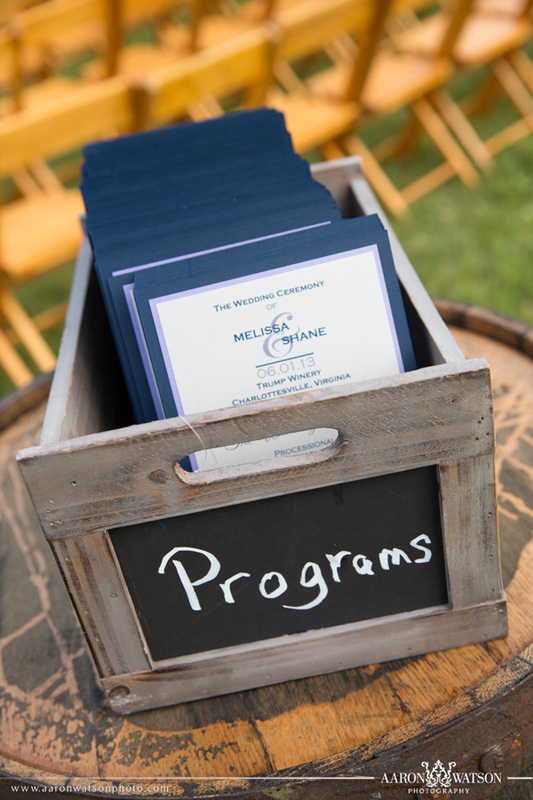 We tied their navy, gray, and lavender color scheme into the two-sided programs with layers and ink. They were displayed beautifully in this vintage box with chalkboard paint for labeling! 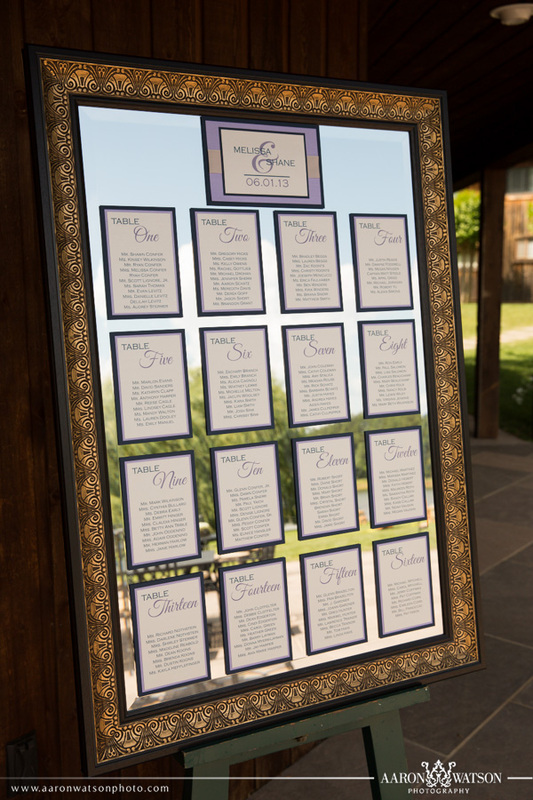 Guest table assignments were layered onto beautiful papers, and the bride attached the individual table cards and the couple’s monogram to this lovely mirror for an up-scale seating chart. 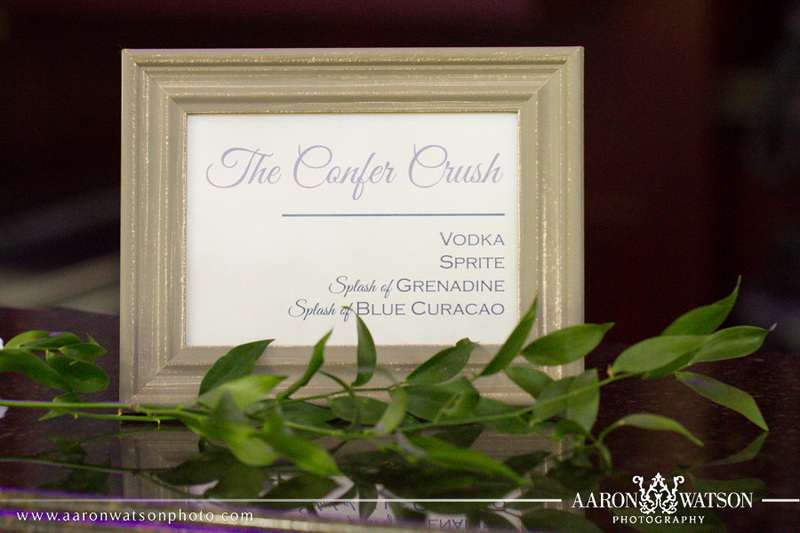 Guests enjoyed a specialty cocktail in the wedding colors, and what better way to advertise it, than a custom sign? 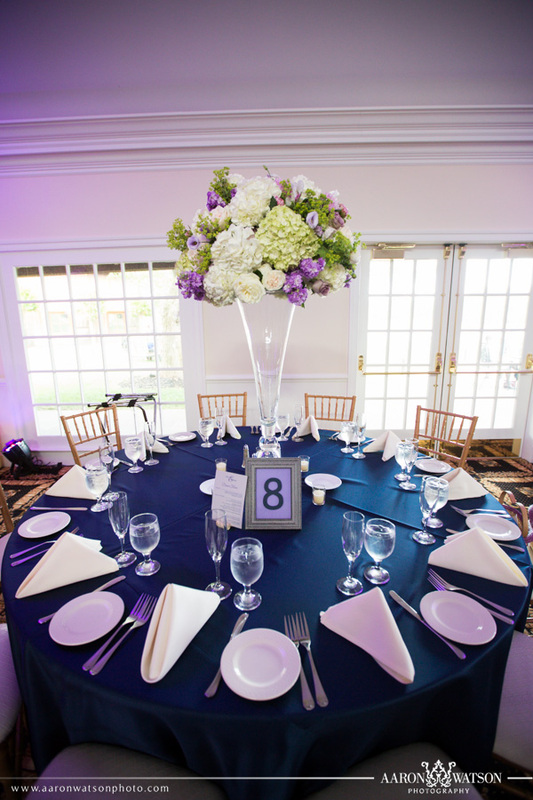 The beautiful table decor was enhanced by a custom menu artfully displayed with a wine cork. I thoroughly enjoyed working with Melissa to create all these special details, and the team at Staccato had a blast assembling all the lovely layers. Special thanks to Aaron Watson Photography for sharing these beautiful images! Be sure to check out their own blog post for even more loveliness from this couple’s big day!